Mohammed is also the most popular boy's name of the past five years for England and Wales, ahead of Oliver and Jack. It came first or second every year since 2007, the only name to do so. And it could become even more popular in 2012, given the adulation around long-distance runner Mo Farah, who won two gold medals for Britain at the Olympics. The popularity of the name comes as Britain's Muslim population is expected to double in the next 20 years. By 2030, the United Kingdom will be just over 8% Muslim, with more than 5.5 million adherents, the Washington-based think tank projected in a 2011 report, "The Future of the Global Muslim Population." Mohammed first became the most popular boy's name in England in 2009, then was knocked back into second place the next year as Oliver enjoyed a huge surge in popularity. Harry, the name of Prince William's younger brother and J.K. Rowling's boy wizard, leaped into second place in 2011, with 7,523 boys given the moniker, topping the 7,007 Olivers. But the name of the Muslim prophet was given to 7,907 baby boys, according to CNN analysis of Office of National Statistics data. Mohammed, Muhammad and Mohammad were all among the top 100 most popular names, with Muhammed and Mohamed also coming in the top 200. 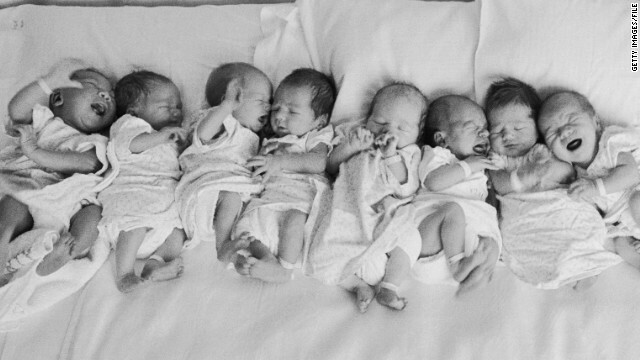 A total of 37,564 babies have been given a variation of the name in the past five years. Some 36,653 Olivers and 36,581 Jacks were born in England and Wales since 2007. The British government keeps separate statistics for Scotland and for Northern Ireland, the other two nations that make up the United Kingdom. The 2011 British census had an optional question about religion. Results are expected in November. At least four different spellings of the name Mohammed are among the 1,000 most popular American boys' names in 2011, according to the Social Security Administration. Mohamed is the top, in 428th place, with Muhammad in 480th, Mohammed in 562nd and Mohammad in 609th. The United States is about 0.8% Muslim, with about 2.6 million adherents, the Pew Forum calculates. Specific Record: Choosing the proper PeakSee Under for the Set of Leading Bio-Energy Purchase http://www.youtube.com/watch?v=Mj8o3vBS7p8 StocksFebruary 3 years ago, 2013 : Choice Vitality Inventory OutlookView simply by Zacks Purchase ResearchHistorically, the particular progress view regarding choice vitality organizations http://www.youtube.com/watch?v=KG6P3fT4IuU continues to be immediately linked to hawaiiwith the economic system and also inversely linked to the values regarding oil goods. created concerning 13% regarding the electrical energy coming from alternativevitality options inside 2011. Throughout the world, nonetheless, Cina qualified prospects the entire world altogether electrical energy technology coming fromalternative http://www.youtube.com/watch?v=WfIiZU-HRRw options, aided simply by the improved allegiance in recent years for the choice way. The particular region's issues are usually http://www.youtube.com/watch?v=COoSZZ-zwfQ causing any airlineflight in the direction of dollar-denominated resources which is causing a more robust money, reduced brings about expression Treasury sec, and also volatilityinside key Eu fairness indices. The particular produce around the 10-year Treasury Take note will be flying about any stingy 2%. economic system is apparently slowlyand gradually bettering, using a sponsor regarding factors exhibiting advancements throughout the last month or two. The particular Fed's extension regardingconnection acquisitions without declared conclusion time as well as the bettering property market have got improved upon industry feeling. Furthermore, inside theprimitive futures areas, funds administrators reversed training course and also improved web extended opportunities. This kind of extra assuming strain reinforcedthe particular go up inside primitive acrylic rates.